are you a young artist in the dc, md, or va area? 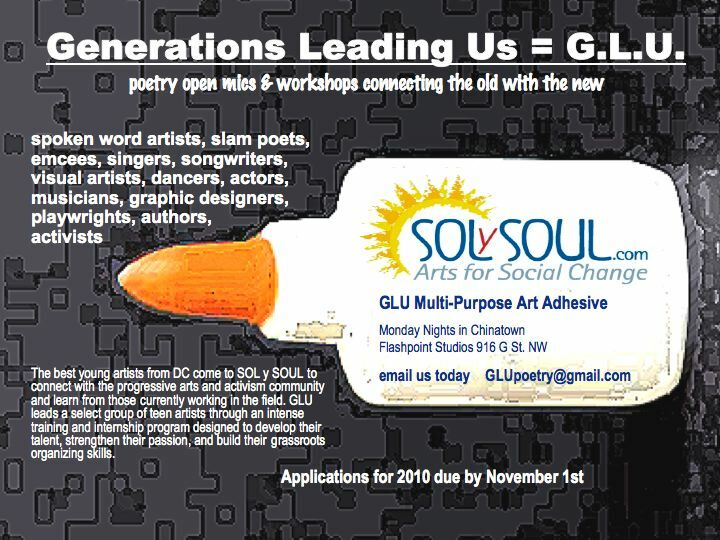 sol y soul is scouring the dmv for dedicated young teen artists who want to develop their skills through our generations leading us (glu) program. it is lots of fun, and a great experience for anyone who wants to learn how to organize arts and activism events. see the flier and email glupoetry@gmail.com for more info or to get an application sent to you.